BSNL has introduced Rs 399 prepaid recharge which is giving away 3.21GB data per day with the same pack. Having said that, the Rs 399 prepaid plan from BSNL is valid across the country and it usually comes with 1GB data per day for 74 days. However, as part of the company’s additional data offer, the Rs 399 plan is currently shipping with 3.21GB data per day, which takes the overall data benefit to 237.54GB. However, do make a note that the data benefit can only be used on 2G/3G networks. The plan also offers unlimited voice calling and 100 SMS per day for the entire validity period. BSNL introduced the Rs 399 plan last year with a validity period of 74 days. The plan became effective starting August 26, that is on Rakshabandhan 2018, and it bundles unlimited calling, SMS and data benefits. Additionally, BSNL will also offer the facility of a personalised Ring Back Tone (PRBT) similar to how the telco does it with its other STV offerings. However, there is another upside to this special Tariff Voucher which makes it stand apart from other plans being offered by BSNL. 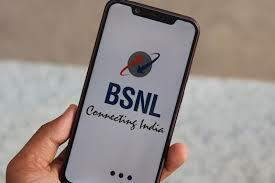 Under the unlimited calling benefits in this STV, subscribers will be able to make calls to other users situated in Delhi and Mumbai as well, something which other BSNL plans or STVs do not offer.